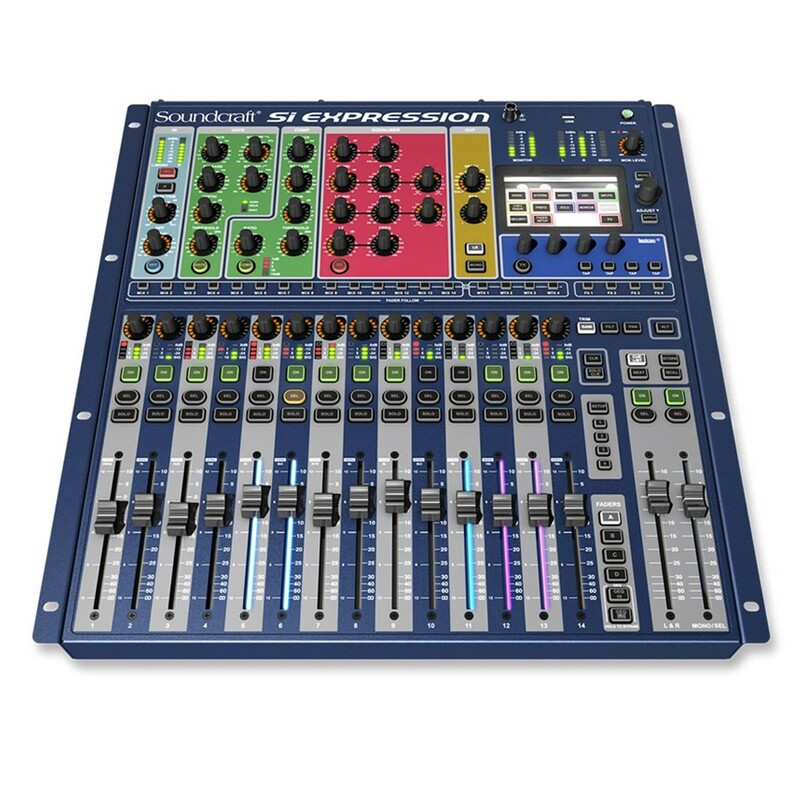 The new Soundcraft Si Expression 1 has renowned, powerful and intuitive Soundcraft digital mixing quality with Lexicon FX, ViSi remote control, 16 mic pres and 14 faders. Ideal for gigging bands, performance venues, installations, tours and more. 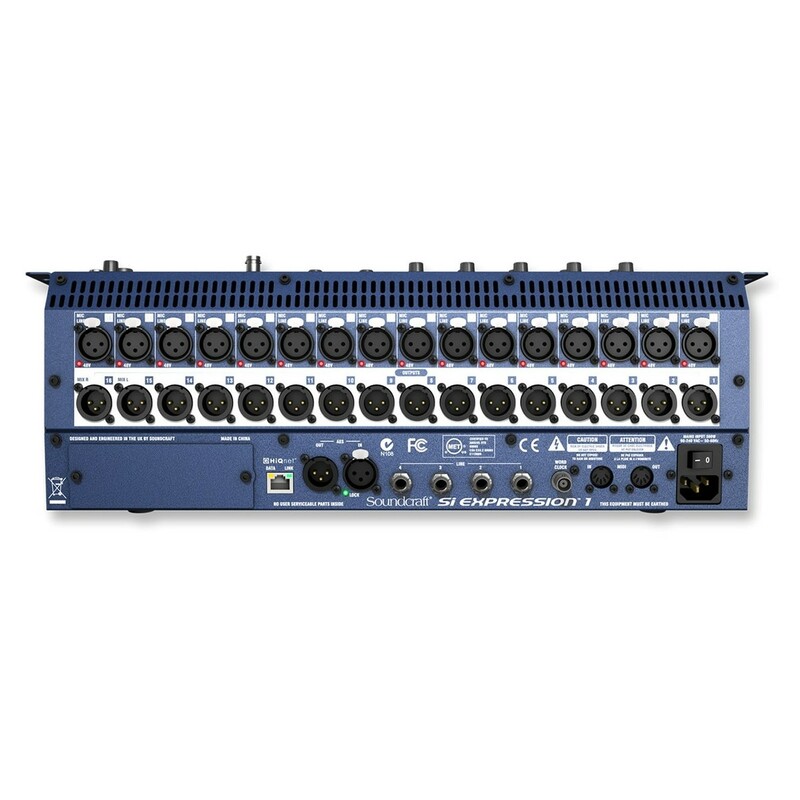 The Soundcraft Si Expression console brings you the latest DSP, component technology and manufacturing techniques to deliver the most powerful, affordable digital console ever. 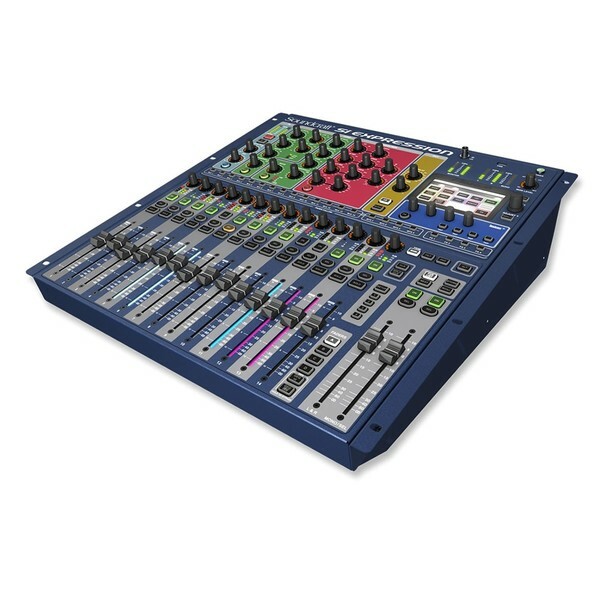 Soundcraft's digital consoles have gained a reputation throughout the professional tour circuit for their pure sound quality and intuitive hands-on and user-friendly operation. Featuring a colour-touch screen for an easy set-up, the Si Expression also has dedicated front panel controls for every important function. The patented FaderGlow system lights each physical fader according to its function, so it's instantly obvious what that fader is controlling, even in dimly-lit circumstances. Class-leading built-in signal processing comes in the form or four real Lexicon hardware FX engines, dbx compression and a 30-band BSS graphic EQ, permanently assigned to every input and output. The Si Expression 1 can be controlled from the free iPad™ control app and will also have USB and Firewire interface card capability, making it ideal for both studio and live recording. Direct Gain Out Stabiliser: Prevents manual change of a mic gain control affecting direct out levels, perfect when 2 controls share a stagebox or when recording the channel direct outputs. Security Lockout: Lock the whole console or just selected elements, manage the security with the users and profile settings. Copy and Paste: Copy whole channels, busses, mixes, Laxicon effects and a single part such as the EQ or multiple parts like the channel gate and compressor. TOTEM: The One Touch Easy Mix, press a single key to mix to an AUX, FX or Matrix bus. The surface and monitoring instantly reconfigure to allow instant mixing to your chosen bus on the faders. BSS GEQ: With a BSS GEQ on every bus there is no need to assign from a pool or resources and you will never 'run out' of processing. 1 Control = 1 function: With each control dedicated to a given function there is never any 'layering' or controls or navigating through screens. This allows the Si Expression controls to be labelled on the surface just as they would have been on an analogue mixer. Global mode controls: A row of rotary controls above each fader assignable at the touch of a button to be GAIN, PAN or HPF for all of the inputs allowing instant access to the core functions. Soundcraft FaderGlow: Illuminates the fader slots according to function with clearly defined colours for FX, Stereo, Linked Mono, GEQ, POST Fade Aux and PRE Fade Aux. Instant Access Keys: Dedicated keys on the front panel for Store, Recall, Next, Mute 1-4, Tap Tempo and more negate the need to dive into screen and context modes. Function Focus: Whenever a control is moved or SELect key pressed the screen displays information about the channel identifying the absolute value of the controls and the channel name, number and more. Everything everywhere: All channels and busses have a full complement of processing, nothing to assign or configure.